Lovely bays and sleepless nights. 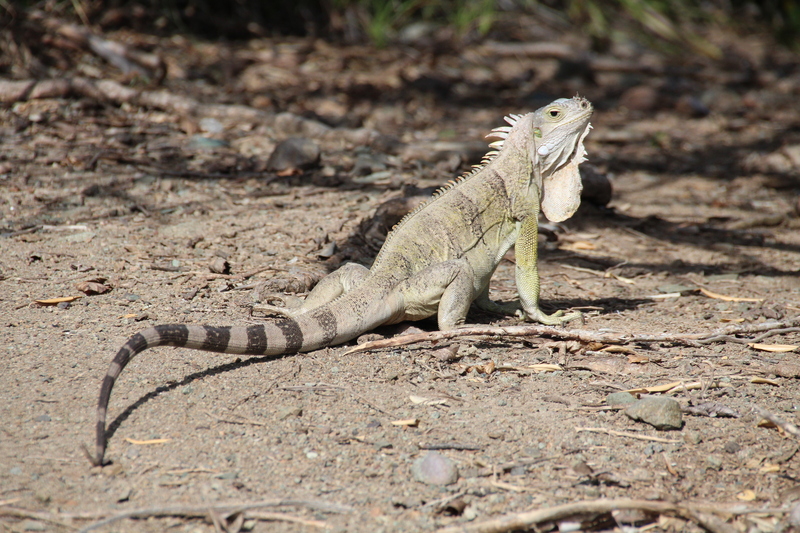 Today, October 13 at Admiralty Bay in Bequia, I am sitting at the Fig Tree restaurant, which is closed today, but I can use their wi-fi, thank you Cheryl ! I cannot believe it has been 10 days since our last update. It is just so difficult to get strong internet so we get to the site and upload pictures. 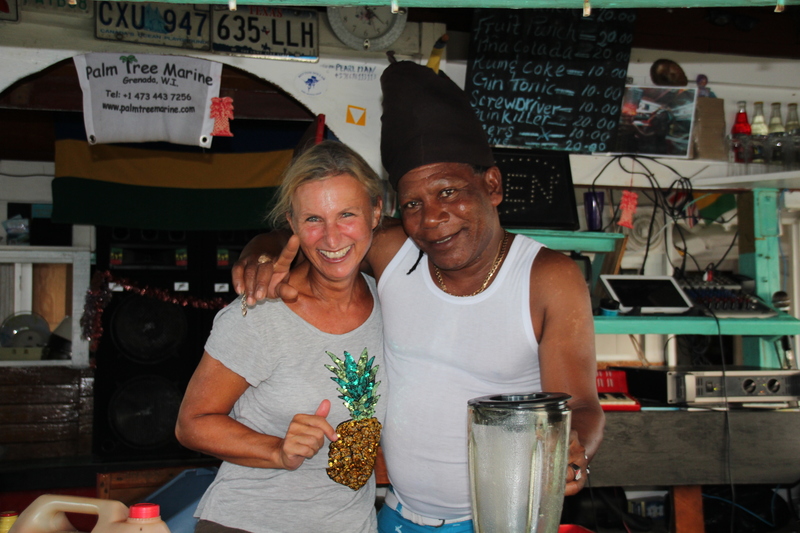 For the Esko readers, AX is superfast compared to the internet which we usually have in the different islands…:-), so I learned to be patient, ofcourse with a rumpunch or pina colada it makes it easier. 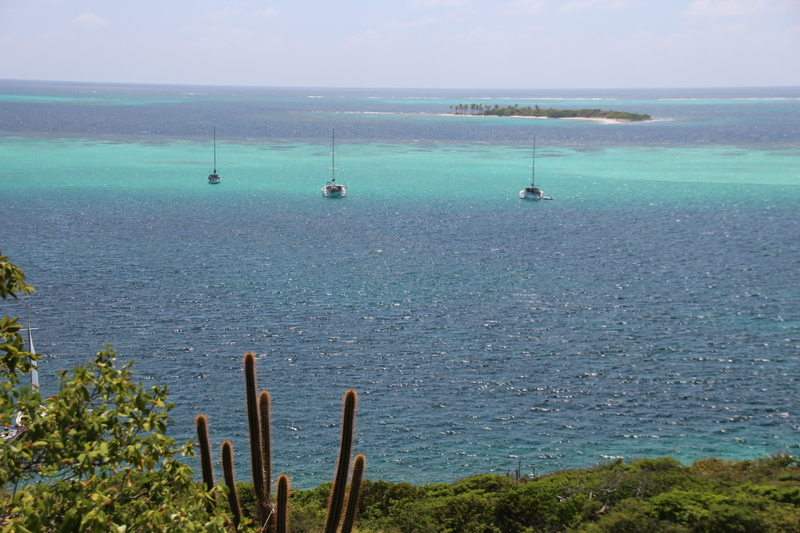 October 3rd, we left Tyrell Bay in the morning to sail to Tobago Cays. We sailed through the south entrance which apparently is a little tricky with all the reefs, we hesitated but it went fine. We managed to get a beautiful spot in front of horseshoe reef. The weather was beautiful, sun, some clouds and wind. There were only two other boats there. During the season this place can be packed with 20 boats! Time to go snorkeling and hiking on the different islands : Petit Bateau, Petit Rameau, Baradel and Jamesby. 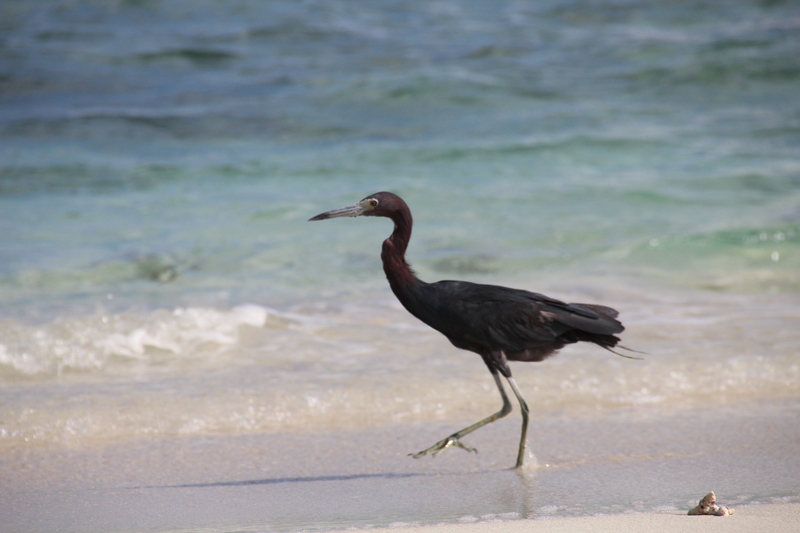 October 4th, snorkeling, hiking and a lobster barbecue on the beach of Petit Bateau. Returning back to the boat with flipper in the dark was not simple, we had to struggle to get flipper back in the water. It was fun but we were both soaking wet arriving at the boat. No problem with 28 Celsius. View on Horseshoe reef from Petit Bateau island. In the back is Little Tabac Island where parts of Pirates of the Caribbean was filmed. Sanuk is the boat in the middle. October 5th, special birthday…30th wedding anniversary! 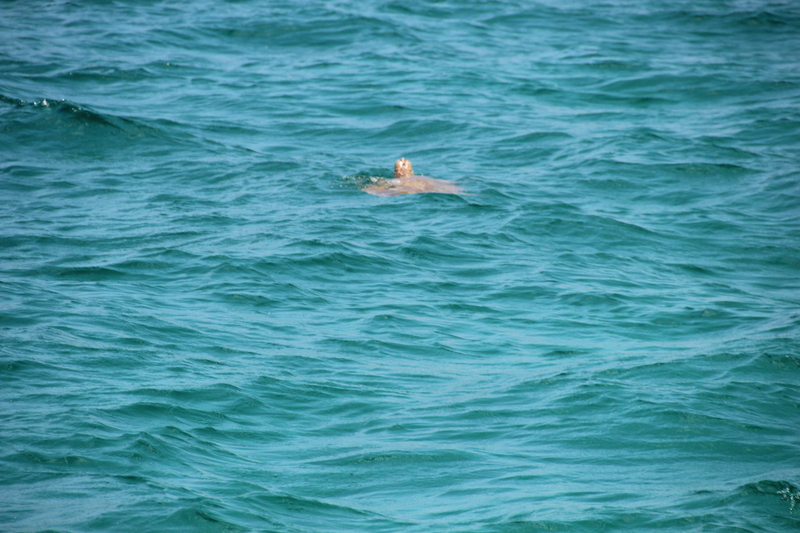 My morning swim was to Jamesby Island and Stefan joined with flipper and dry clothes so we could hike (little hike) to the top. 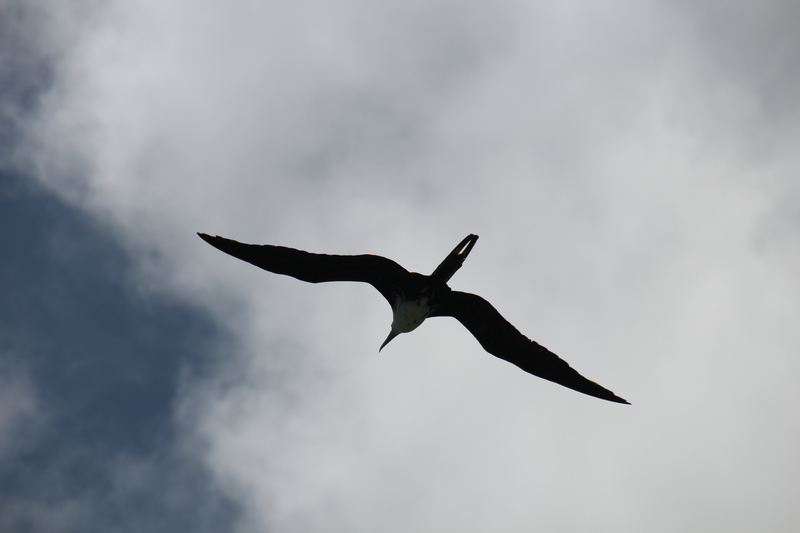 The magnificent Frigate Bird (female) – they are incredible masters in the sky. 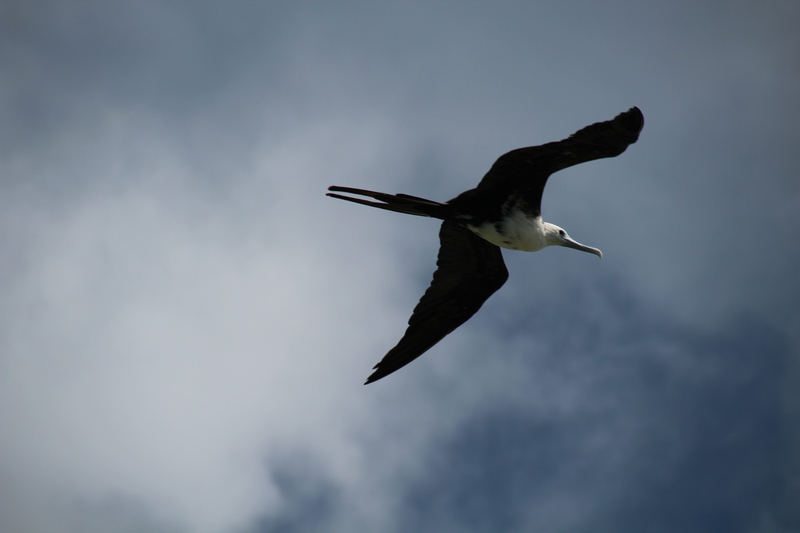 Their wings are long and pointed and can span up to 2.3 metres. Dad, I need your help in identifying this bird ? 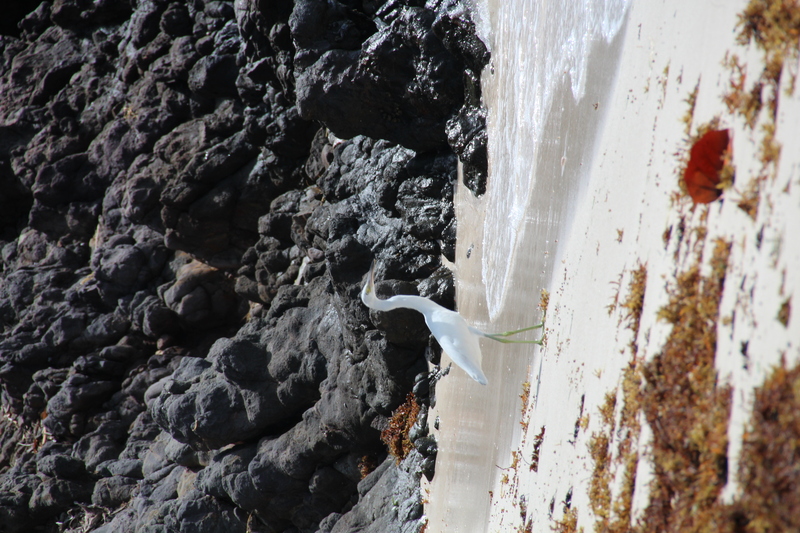 White egret ( I think ) – Dad, can you confirm ? 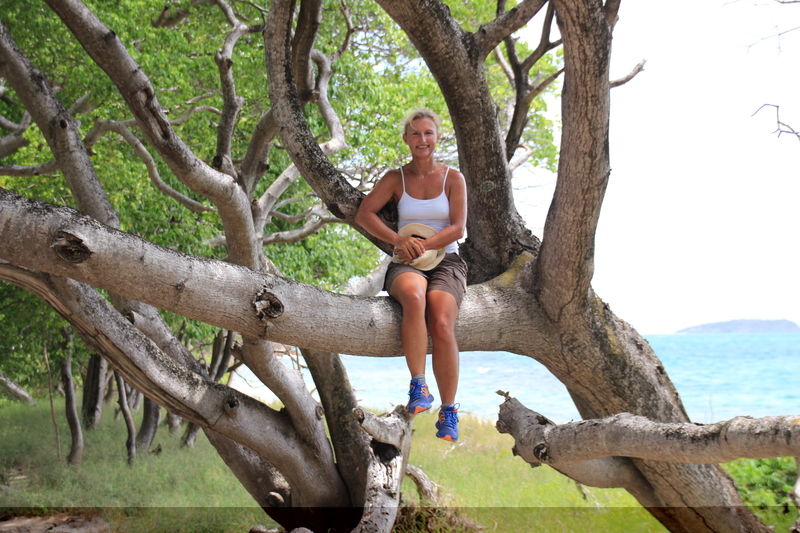 October 6th, we hike on the island of Mayreau, with beautiful views. Stefan and Ilse on Mayreau Island. At the end of the hike we returned back in the little village and peeked in the pre-school building, it was lunch. 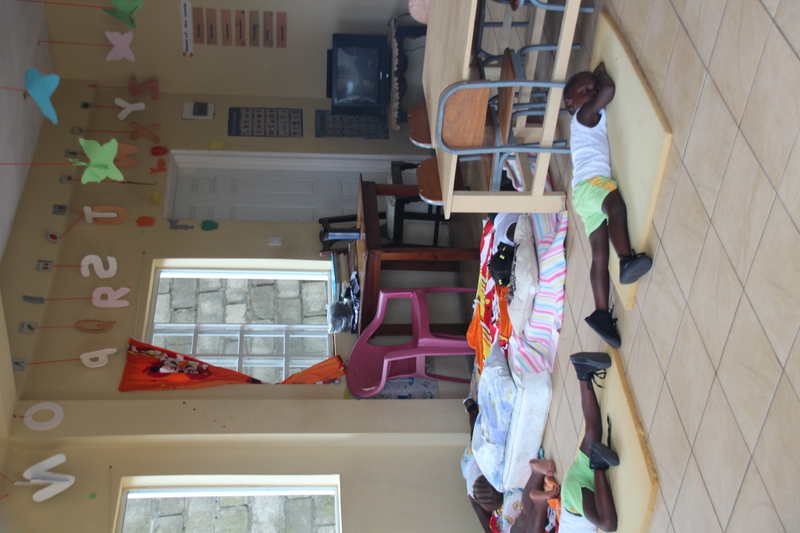 Kids sleeping during lunch time at pre-school in Mayreau. In the afternoon we went snorkeling and had grilled chicken for dinner. 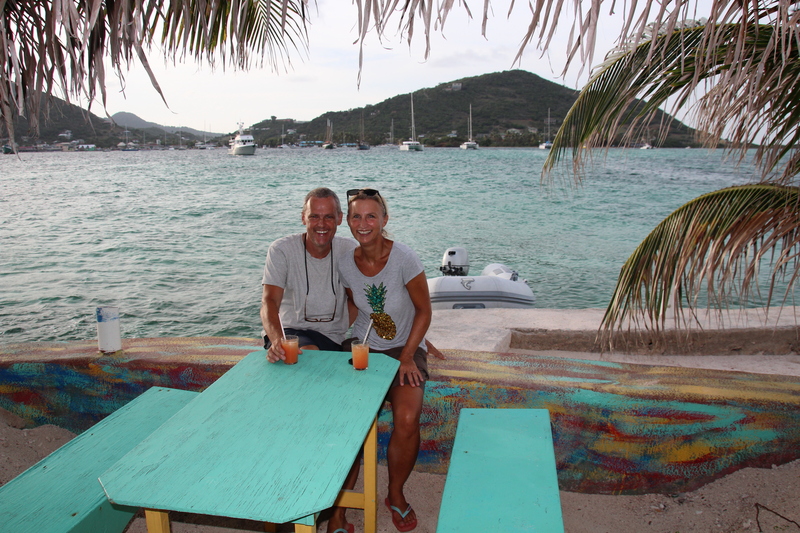 October 7th, we sail to Chatham Bay on Union Island, it rained most of the way but the sailing was good. Stefan fixed the generator by putting in a new impeller ( I am learning now about motor parts ) while I cleaned the boat. Boat life is a constant struggle against salt and sand. October 8th, it rained almost all day, I finished reading The Japanese Lover from Isabel Allende ( definitely recommended) We did go for a hike, but returned in the pouring rain and I was not prepared for the rough terrain with my flip flops… We ended up in a local bar on the beach with our boat neighbours Barbara and Pierre from France. October 9th, did laundry in the morning, finally some sun and lots of wind. We went hiking to the village of Ashton. 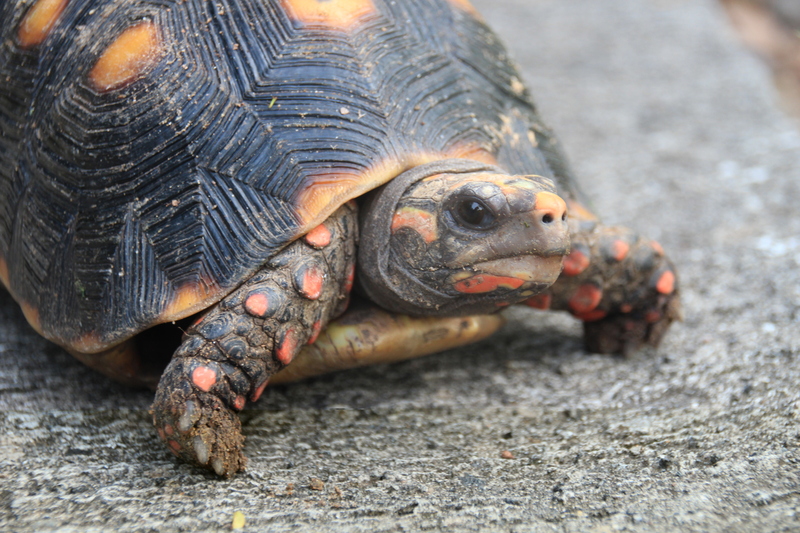 Turtles coming out for a drink of water after the rain. We went snorkeling in the afternoon but first bought fish from Pleasure who would also clean the fish for us. After the hike we picked up the fish at the bar of Pleasure and had a rumpunch before sunset. Ilse with Pleasure at Chatham Bay. Sanuk all the way in the back. Stefan took out his second anchor because we heard that the night would be rough with wind gusts of 8 beaufort. I had hardly slept the night before, being on an anchor with pouring rain and gusts of wind of 7 beaufort, swinging around the anchor is not good for a good sleep….We were not the only boat in the bay and at 6am in the morning we got up because it was really bad outside and saw another sailing boat swinging close to our boat. Luckily they moved the boat to re-anchor further in the bay. Scary …Needless to say the next night I hardly slept as the weather was the same and this for three days…At one point there is no wind and then all of a sudden there are windgusts of up to 8 beaufort. October 10th, much of the same rainy weather but did a hike with Alex – Claude Vandamme’s biggest fan – so we could get off the boat for some time. 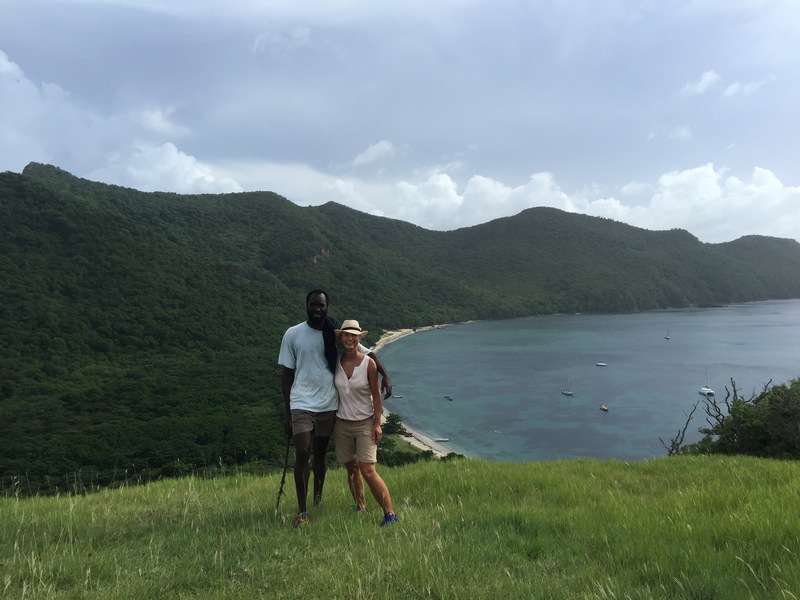 Ilse with Alex at Chatham Bay on Union Island, Sanuk in the back. October 11th, still rainy weather but we decided to sail to Bequia Island.It was 6 hours of great sailing, great wind up to 22KTS (5 beaufort) with waves of up to 2meter. I just did not get sick but could not eat during the sailing. We arrived at 4PM and I was starving then! Stefan caught his first fish during the sailing, a great mackerel! He cleaned it and we vacuum sealed it and put it in the freezer, food for two dinners ;-). We went out for dinner at the Fig Tree, so happy not to have to cook! 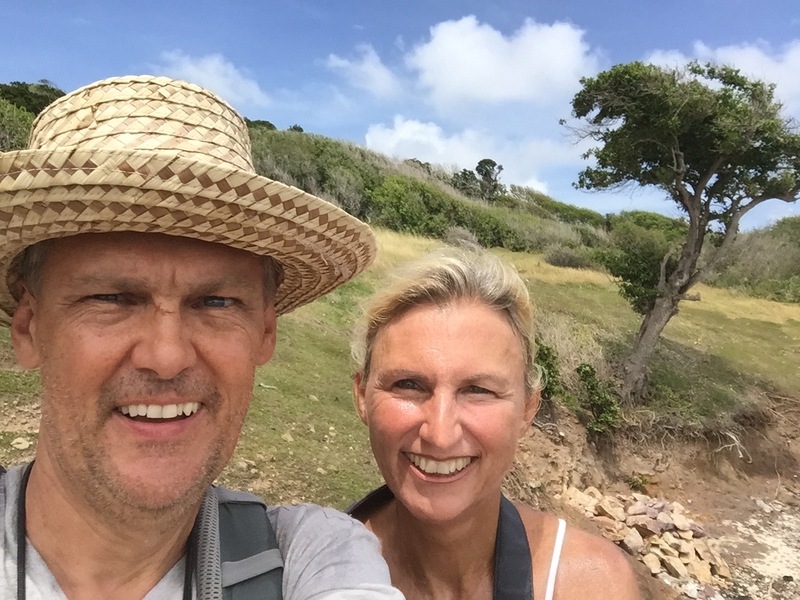 October 12th, went into the town of Port Elisabeth to the internet cafe, Hannah had said she would be on Studio Brussel with a request….She had requested to play the ‘Stand by Me’ our weddings’ opening dance, to wish us a happy 30th anniversary. We sat there listening with tears in our eyes….Being away from home, even in exotic places is not always easy. We sent emails and chatted with the girls at home. We re-anchored the boat to be closer to land to have internet, to a mooring buoy, but in the end the internet on the boat was still not strong enough to get on a news site. Internet cafe to the rescue. Vooreerst congrats on your 30th wedding anniversary! And all the best for the second 30 coming up! What a great experience you guys are having … keep the travel logs coming, it’s wonderful to read. Proficiat met jullie dertig tesamen! Nog veel plezier op deze tweede honeymoon! Zo fantastisch leuk om jullie avontuur te kunnen meevolgen! Gelukkige 30e huwelijksverjaardag. Jullie stralen op de foto’s! 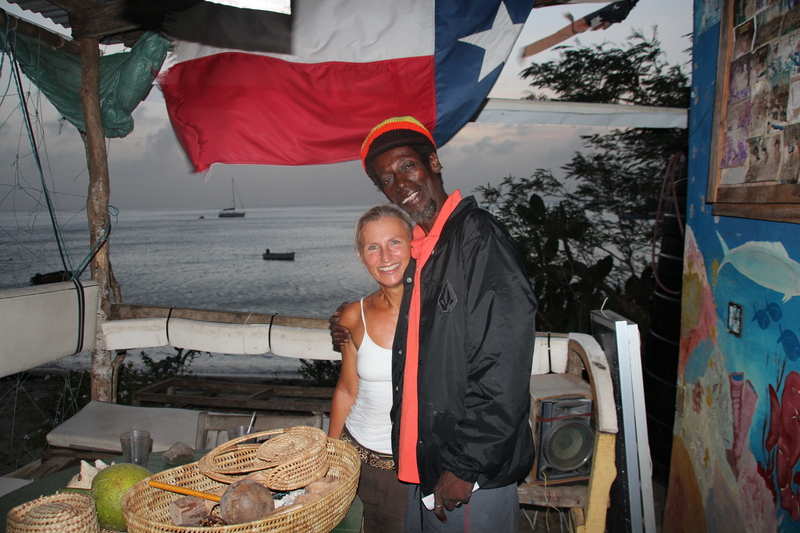 We zeilen vandaag van Bequia (uitgesproken Bekway) naar St.Vincent. Het weer is terug fantastisch. Zon, wolken en een windje…meer moet dat niet zijn.